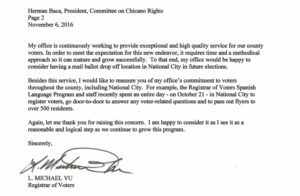 On November 3rd, Herman Baca, President of the Committee on Chicano Rights (CCR), wrote a letter to Michael Vu at the San Diego County Registrar of Voters asking: Why doesn’t National City have a Mail Ballot Drop-Off Location? Imperial Beach has a population of 26,324 and offers one drop-off location. Meanwhile, National City–with a population of 58,582–has none. 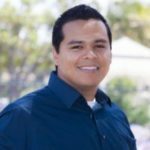 Baca explained that National City has a 63% hispanic population and a media household income of $38,849. (By comparison, Imperial Beach’s median household income is $52,148.) What’s more, National City has one of the highest sales tax rates in the county — at 9%. It is meant to enhance, not supplant, the existing ways mail ballot voters are able to return their ballot. 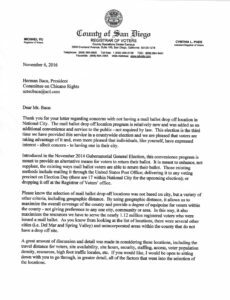 Those existing methods include mailing it through the United States Post Office; delivering it to any voting precinct on Election Day (there are 17 within National City for the upcoming election); or dropping it off at the Registrar of Voters’ office. Please know the selection of mail ballot drop off locations was not based on city, but a variety of other criteria, including geographic distance. By using geographic distance, it allows us to maximize the overall coverage of the county and provide a degree of equipoise for voters within the county — not giving preference to any one city, community or area. In this way, it also maximizes the resources we have to serve the nearly 1.12 million registered voters who were issued a mail ballot. As you know from looking at the list of locations, there were several other cities (i.e. Del Mar and Spring Valley) and unincorporated areas within the county that do not have a drop off site. 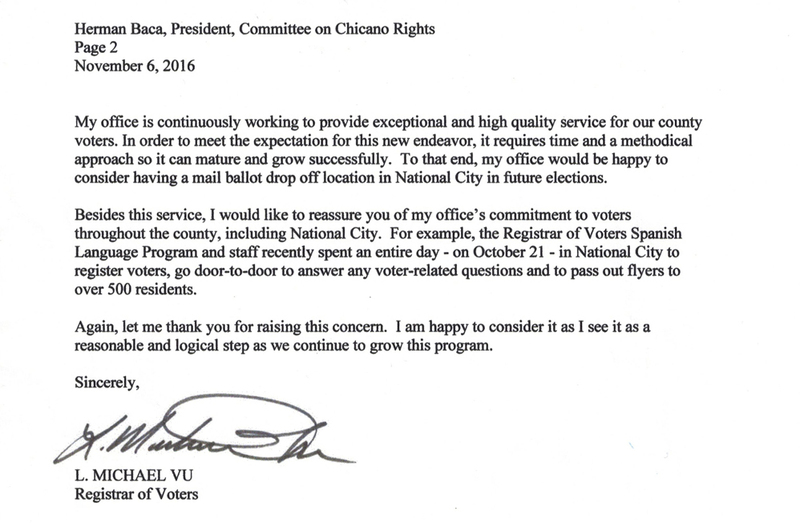 Baca wrote a return letter, re-iterating that he had received a large number of phone call complaints from National City voters asking where they could find drop off locations. 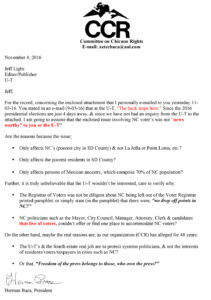 In addition, an activist wrote to the ACLU of California, fearing voter suppression. 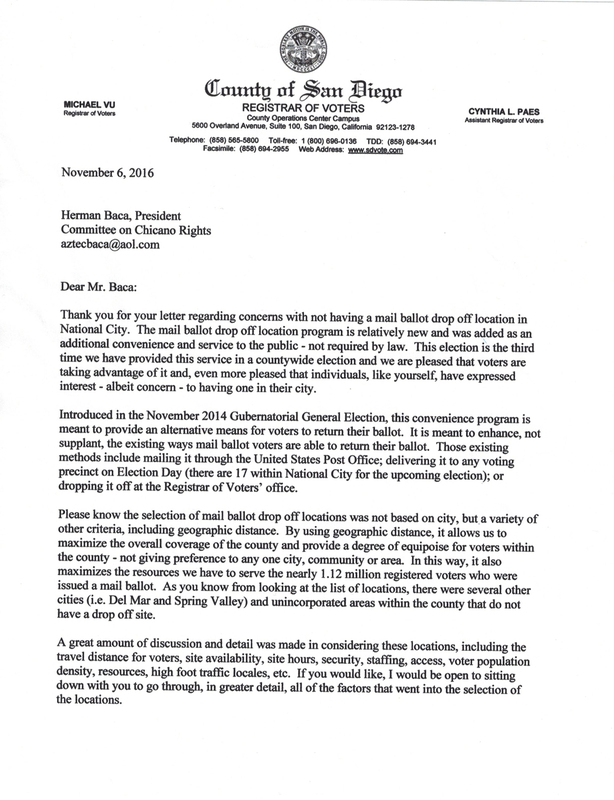 The Voting Rights Director responded in an email, saying that the drop off site was only piloted by the County in 2014 at a handful of libraries. Libraries must meet several pre-requisites to serve as a drop off location. 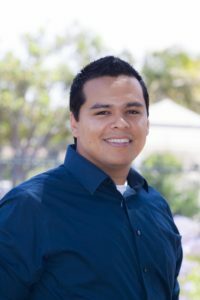 However, the Director assured that she would meet with Baca and also help find out why National City libraries did not qualify. 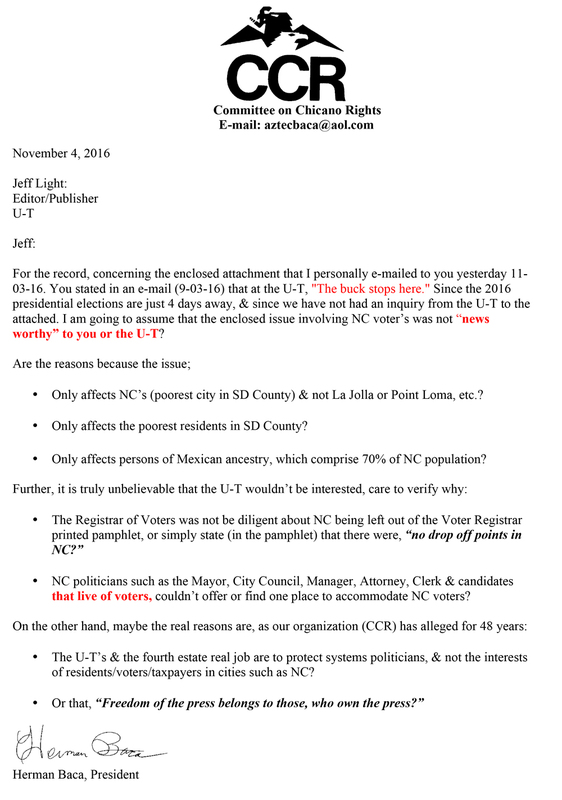 The San Diego Free Press also contacted National City council members and candidates. Councilmember Mona Rios immediately responded. She said she was working with the City Staff as well as the Registrar of Voters to assure that, moving forward, designated Ballot Drop Off sites during the next election would be available in National City.